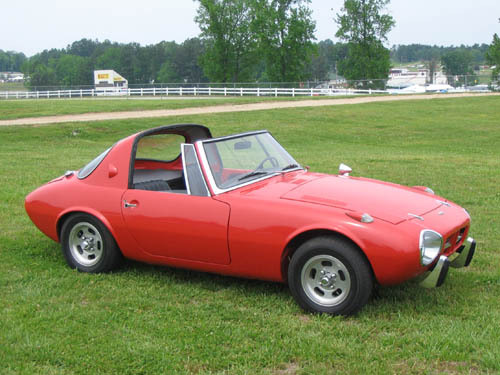 The Sports 800 was Toyota's first sports car, paving the way for the 2000GT, AE86/Levin, and the recent Scion FR-S/Toyota GT86. 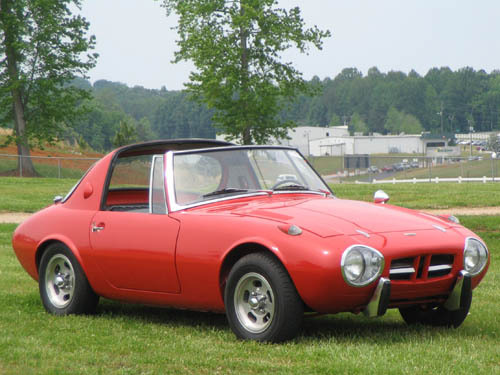 Based on the Publica sedan, the Sports 800 uses an air-cooled, horizontally-opposed, two-cylinder engine. The Sports 800 is tuned more for performance than the sensible Publica, with increased displacement and two carburetors. The car’s small size and use of aluminum kept the weight down to 580kg (1,279 lbs), resulting in impressive performance for the period. 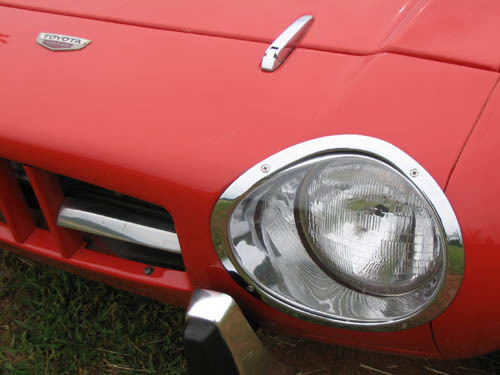 Since the Sports 800 was sold in other markets, about 10% of the production was left-hand-drive. 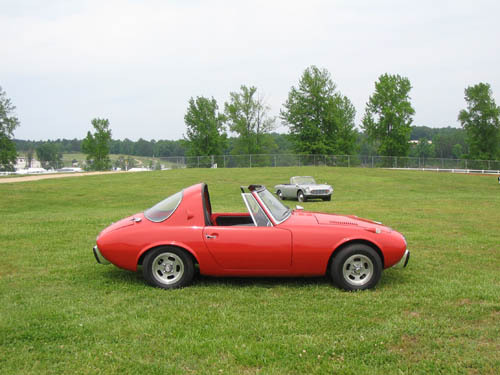 In 1967, Toyota brought 41 Sports 800s to the U.S. for test marketing. 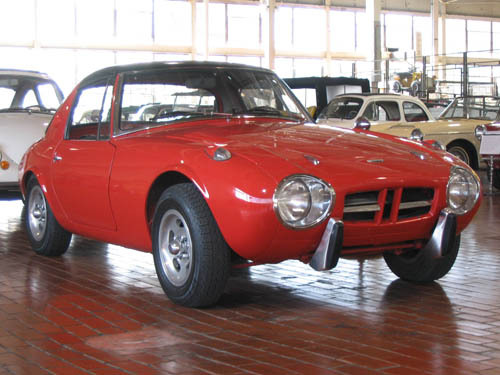 Dealerships concluded that they would not sell here, and Toyota left the cars with the dealers instead of shipping them back to Japan. This car is one of those 41 and is distinguished by the speedometer, which is in miles-per-hour. If the car looks like something from a Japanese cartoon(anime), it's not entirely a coincidence. The cute little car was featured in such popular manga as You're Under Arrest and Yoroshiku Mechadoc. Among collectors in Japan, the Sports 800 is nicknamed ???? (Yotahachi). "Yota" is short for "Toyota", and "hachi" is Japanese for "eight".